Hello! This is Robin Pressnall, Executive Director of Small Paws Rescue® Inc. 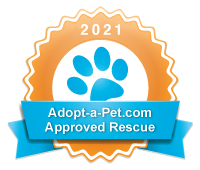 Thank you so much for your interest in Small Paws Rescue®! Each breed has a rescue organization for their breed. Small Paws is the largest breed rescue in the country, with over 800 volunteers and over 6000 members in 27 countries. There is an increase in the number of owner surrenders we see, because Small Paws is becoming so large now with greater visibility. We’ve had exposure on Discovery Channel’s “Animal Planet”, twice over the past 20 years. We’ve also been featured on “Inside Edition” with Deborah Norville in NYC. We’ve also been featured in many media articles, including the best selling book “Chicken Soup for the Dog Lover’s Soul”. We have appeared on the Fox News Network in New York City 11 times. Many thanks to Fox News! Bichons for Adoption please e-mail us at adoptionspf@smallpawsrescue.org. If you need any further information, I am happy to speak with you!